In the first half of the VCU game, Matt Howard was wearing shorts several sizes too big. He could’ve made excuses, let them get in the way or drawn attention towards it – but that would’ve detracted from the task at hand. Nonprofits can rest on their laurels, make excuses that we’re still in a ‘down economy’ or that their impact is simply ‘too hard to measure’ so they throw true assessment out the window. If we look hard and deep at our efforts, ‘can’t’ too often means ‘won’t’. Make the switch. No excuses. Grit eats beauty for breakfast…every time. Working in the nonprofit sector can be gritty, tough work. Those in the trenches roll up their sleeves every day and fight the fights that the rest of the world isn’t interested in. They walk into prisons, they comfort (and confront) complete strangers, they dig through unfair caseloads and they struggle through homework alongside children who the rest of the world has given up on. Every Butler player does the same. They laugh in the face of injury, scoff at blood and bruises. Not just at the Final Four but in Championships and off-season shoot-arounds. The difference? There’s more peer-to-peer encouragement on the court than in our offices. There are more high-fives in the locker room than lunch rooms. Nonprofit staff and volunteers can give just as much to each other as they do to the cause – moral support is hugely valuable and a little goes a long way. In today’s competitive fundraising environment it’s way to easy for a fundraiser or chief executive to tell a would-be donor what they want to hear. Organizations literally can shift money to gain stars for Charity Navigator and with the click of a button in their Excel spreadsheet, they are magically more efficient or effective. Others can disregard AFP Ethical Standards and implement a commission-based fundraising system. Howard hasn’t fouled out once in the Bulldogs’ 14-game winning streak. Not once. The 6’8″ boy-wonder boxes out, hustles down the court, moves his feet on defense and doesn’t pull punches. He plays by the rules…and wins. You can too. Where do potential major supporters go to see if they’re even interested in your organization? How are key board members recruited, retained and empowered to leverage their networks and expertise? Where do staff and clients find the motivation and support to get up every day and work through the issues to find a cure, solution or remedy? They all look to the organizational leadership. 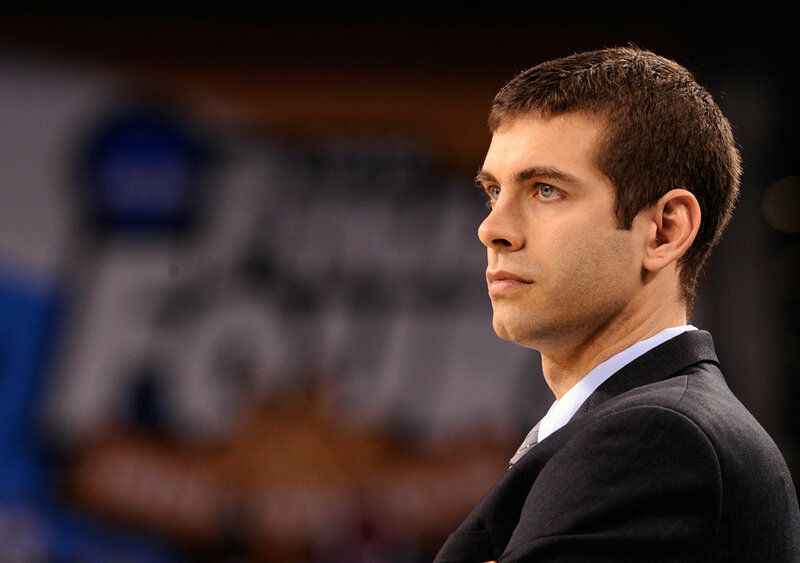 Brad Stevens exemplifies cool, calm and collected leadership. He’s unselfish and humble, giving all credit to players and fans. He builds character while building skill and in return, his team plays their hearts out for him. Our nonprofit leaders can do the same and the results will follow. Freshman Chrishawn Hopkins spent the entire year pretending to be competing teams’ point guards to get the starting team ready for games. That was his role, and he excelled…and in turn, they excelled. We only heard about him when he lit the spark Butler needed to regroup and get past Florida. Too often organizations rely one one or two ‘rockstar’ staff to shoulder things. There’s a thin line between blame and credit and all on the team need to take a part. CEOs can’t share impressive impact without preparation and effort from those on the ground. Program staff can’t provide services without funds coming from the fundraisers’ efforts. Fundraisers will fall flat if their programs (and program staff) aren’t stellar. All have important roles and fulfilling those to our utmost ability translates into wins. Butler Blue II, the official (and real) bulldog mascot of Butler, might be getting more attention than the team. Between being lambasted for his lawlessness by Kenny Mayne (video below), tweeting fan pics and scarfing down high-priced hotel room service ice cream, Blue is pure marketing genius. He travels around, shows his colors and brings out the ‘blue’ in fans young and old. It’s one more creative way to get people and media talking about Butler. Nonprofits need to have a bit more fun and take a few more risks in their marketing efforts. It’s not enough anymore to limit ourselves to direct mail and billboards anymore. Calculated risks can raise serious awareness, engage new audiences and reap huge rewards for the people and causes we serve. Win or loose – Butler has a lot more to offer than entertainment. What parallels or lessons do you see? Or what other less-than-normal places do you draw insight from? Share in the comments. Great post Nathan! One thing I noticed when watching the game Saturday was the Butler players’ collective attitude during the player introductions. Typically, you’ll see players have some pre-orchestrated dance routines, elaborate hi-5/handshakes, etc. Granted, Butler players do all pet the dog during the introductions. Other than that, however, I LOVED that each player just walked through the line, almost emotion-less, giving simple hi-5’s to each teammate, and moving on.